Its here! The first day of school is here and we have some helpful tips to get you ready for the coming year. We will be looking at 5 ways that you can help your child become more comfortable with the changes before the big day. Don’t forget to bookmark this guide and keep it handy! One of the best ways to help your kids prepare for the upcoming school year is to familiarize them with their new locations. This is great for students returning as well as they can discover what has changed or identify their surroundings in advance. If your child is a walker, walk the route they will use so they are not scared when its time to walk it on their own. 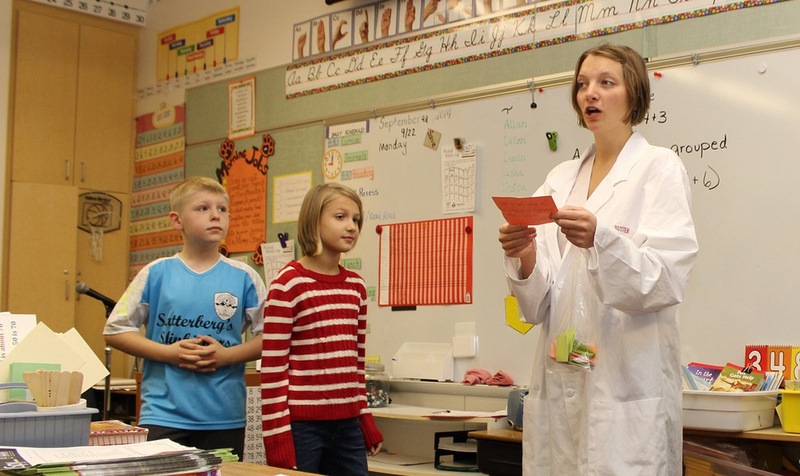 Often teachers are open to meeting their new students in advance when allowed by the school. This can give your kids a chance to experience the classroom, learn about how its organized as well as meet their new teacher face to face. If your teacher is known in advance, start using their name in conversations to get them even more familiar with their name and how they can address their new teacher. Your school will also have a website that you and your child can review in advance of the new year. You can often browse photos of teachers and their facility, school sports teams, and learn about school highlights and events from the previous year. The school’s website is an excellent source of information to help your child prepare for the upcoming year. Getting things prepared in advance will not only help relieve some of your child’s anxiety, it can be fun for them as well. Get your kids involved in the preparation and they will not only know what to expect but feel like they had a direct choice in what they are wearing, eating and using during the first days of school. Picking out a fun outfit and sorting out lunch time snacks builds anticipation as they know it was their choice. Laying out clothes the day before or having your snack choices and reusable containers on a lower shelf so they can pick them out are both easy and fun ways to get your kids involved. There are some great aids for parents and kids when it comes to helping get prepared. One of the best things for students is getting them on a schedule in advance. 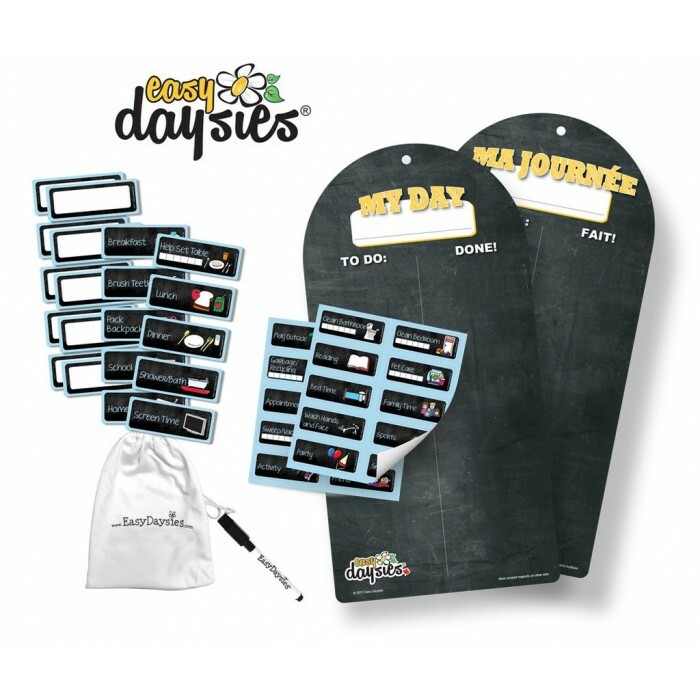 Easy Daysies is a great tool to help build children get organized and independent by helping children learn through seeing and doing. One key to helping kids control their anxiety before the start of a new year is to ensure they focus on the fun side of school. Avoid talking about the negatives they may expect like missing mom and dad and replace them with positives like the friends they will see or the games they will play. This is a way of helping your kids combat their own anxiety in a cognitively proactive way. Another method to help kids focus on the fun is by having fun activities planned throughout the first month of school. As an example, is your kid a big camper? Planning a weekend camping trip is a great way to provoke forward thinking and a positive attitude. Taking a positive first step is key to helping prevent first day jitters and having a great first day. Get a good night’s sleep the night before school starts so you can wake up fresh and ready to go. It is best to to start a couple of weeks before school, but it’s never too late to try and start a positive sleep routine. Once everyone is up, start the morning off with some fun. This could be some music or maybe a fun stretch. Once everyone is up and ready, have a hearty breakfast which includes protein to fuel up for the day. A balanced breakfast is key to proper development and will keep you kid going through the long day. One of the hardest parts of the new school year is saying goodbye for the first time. Just remember the key to a positive good bye is NO TEARS! This is a hard one to manage but is one of the best things you can do on the first day. If your kids’ see you crying it can build up anxiety in them as they think you are scared or upset. Try your best to keep the tears in until they’re around the corner, then find the closest box of tissues and let it all out. 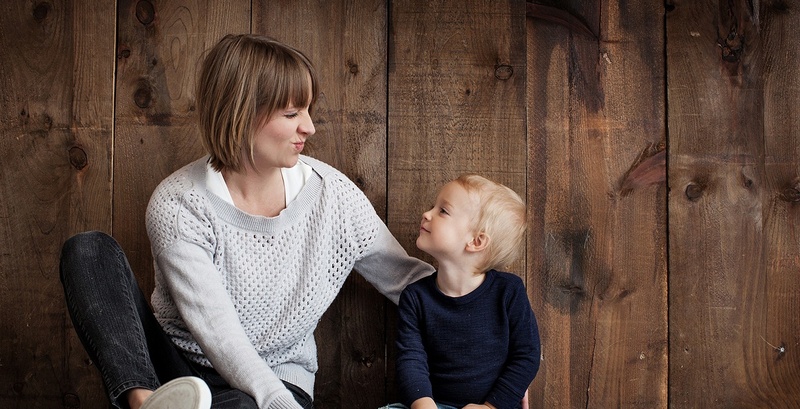 Many parents have found that having a keepsake for your kids is great emotional support. A small item or craft that you make together is a great memory device for when your child becomes homesick. They simply can locate their memory item out of their bag and they can instantly feel closer to you. This is also a handy trick for you parents and grandparents for when you are feeling a separation anxiety of your own. 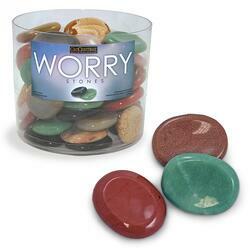 Worry Stones are an excellent tool for helping combat anxiety and are easy to store in a backpack or bag. The key to having a happy and successful first day is finding the right trick, or tricks, that work for you and your kids. Remember, not all kids are the same so don’t be afraid to try something different and exciting if its right for you and your family.